Masternaut is today launching the next innovation in telematics, a plug-and-play solution that offers low-cost, hassle-free, pay-as-you-go telematics. The Pulse device, is well-suited to organisations who wish to implement simple telematics. The new device also serves organisations already using telematics who wish to connect all their vehicles, including short-term hires, company cars and their grey fleet. 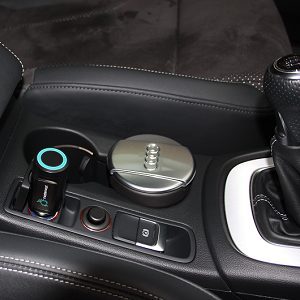 The Pulse device plugs directly into the vehicle cigarette lighter. Since there is no hardwiring required, vehicles don’t need to be kept off the road for installation, avoiding downtime. The new device offers GPS tracking, mileage expense reports and reports on speeding, journeys and utilisation. Masternaut Pulse offers fleet operators a novel way to address three use cases previously underserved by telematics technology. First, since the device is truly no-install and is pay-as-you-go, it is easy and economical to deploy in short-term hire vehicles. Organisations can now manage both their permanent fleet and short-term vehicles in one place, on Masternaut’s Connect platform. Second, due to its low cost and the ease with which it manages private journeys, Pulse is an ideal solution for company cars and grey fleet vehicles. Drivers benefit from automated business mileage tracking for expense claims, while companies can easily monitor mileage for tax purposes. Finally, at an introductory price of £4.99 per vehicle per month without commitment, Pulse on the new Masternaut Go platform is well-suited to companies who want a high-fidelity, easy-to-use, but low-cost fleet tracking and management platform. Luke Abrams, VP Product Development at Masternaut said: “We knew there was a gap in the telematics technology available when it came to monitoring temporary vehicles, or grey fleet and company cars. Pulse allows them to have more visibility of their unseen fleet. Services such as mileage expense management and live vehicle positions are all available within the Go platform, which starts from £4.99 per month with a £25 activation fee, for a limited time only. This is an incredibly cost-effective approach to telematics, particularly where a more flexible approach to fleet management is needed.